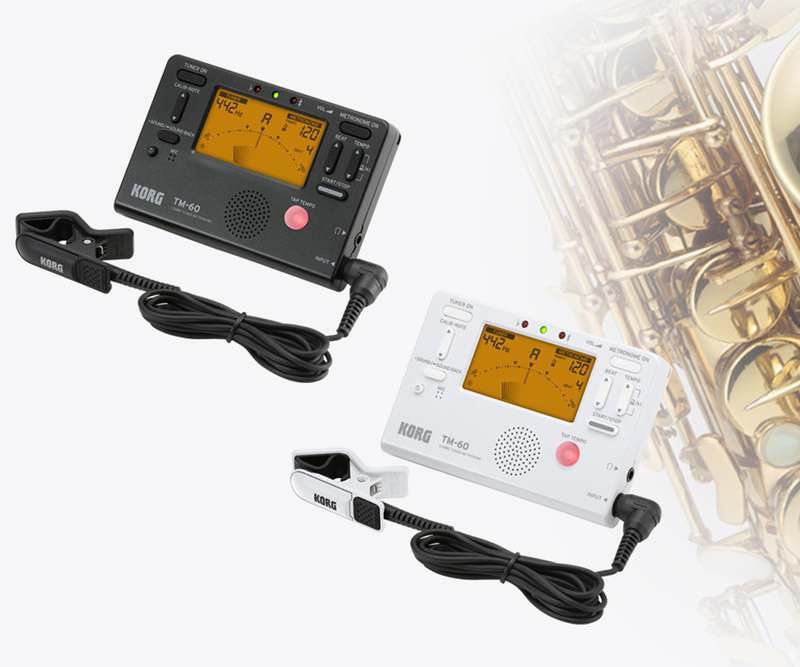 Announcing the TM-60C:a set consisting of the TM-60 combo tuner/metronome that's packaged with the convenient CM-200 contact mic - the perfect partner for your daily instrumental practice. 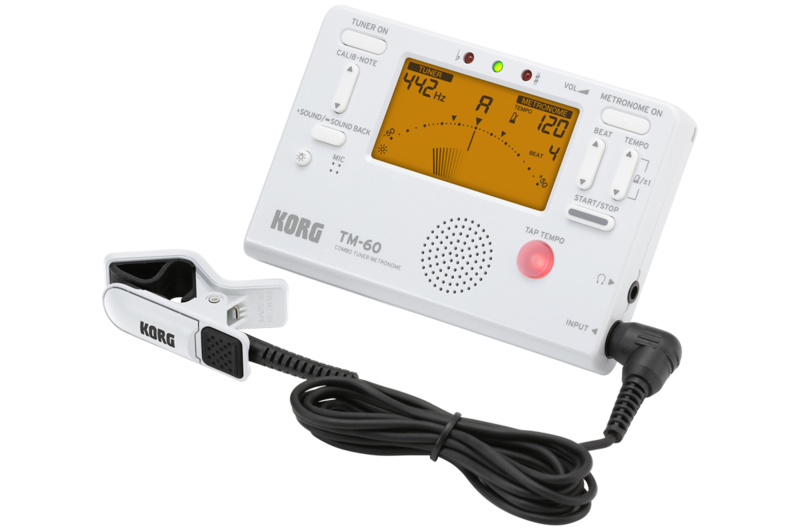 This package consists of the TM-60, which combines tuner and metronome functionality, and the CM-200 Contact Microphone, which sends the vibrations from your instrument directly to the tuner. By using the tuner together with this contact mic, you can take advantage of quick and accurate tuning without any interference from outside sounds in the environment, and you can also utilize the TM-60’s Sound Back function*. The CM-200 Contact Microphone is the perfect way to accurately pick up and convey your instrument's sound to the TM-60 and-held tuner with its wide, easy to read meter. 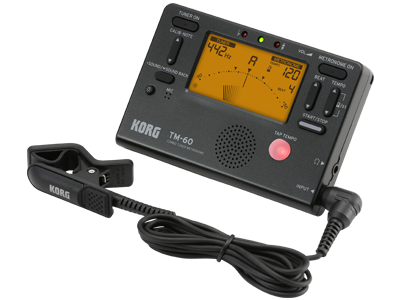 The TM-60 can be placed on a nearby music stand, making it ideal for orchestral or brass band instruments. Choose from two packages: black or white. 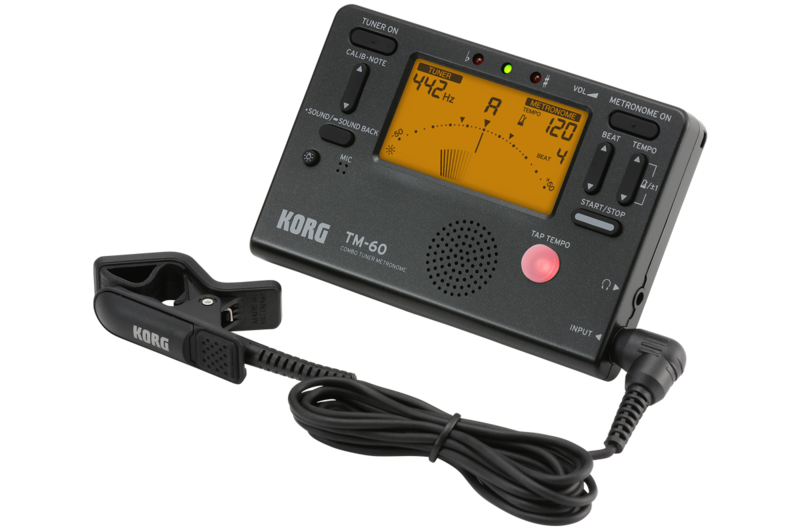 *The Sound Back function is a tuning mode that uses the internal speaker of the TM-60C to output the reference pitch that's closest to the input sound, and shows the discrepancy on the meter. This is available when using the audio input from the INPUT jack or when using earphones. please visit the product pages.